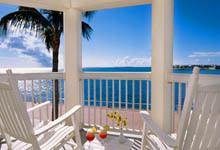 We list and link EVERY lodging provider in Key West that we know of. Like this page ?? If so, visit Keysdirectory.Com for even more detailed information about Key West. Two blocks from Duval Street - great rates! 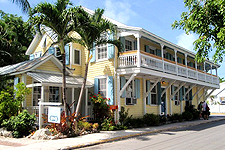 Located in the heart of Olde Key West, our building was once a 1920´s gambling spot and bordello. We are now a guest house styled in true island tradition...airy and clean, no phones or television in the rooms. Several types of units, all at reasonable rates. Immerse yourself in a way of life! Luxurious suites: spacious dressing area, individually controlled heat and air conditioning, color TV, premium movie channels, and a refrigerator in every room are just a few of the thoughtful extras. 100 rooms, large heated pool and a great view of the clear, ocean waters. Free airport shuttle - poolside bar and hot tub ! Our 216-room hotel is close to the airport and our roundtrip airport shuttle is complimentary. We have a restaurant, a poolside bar, and a bar/lounge. Room service is available during limited hours. Recreational amenities include an outdoor pool, a spa tub, and a fitness facility. We have a business center and offers limo/town car service, audio-visual equipment, and business services. Complimentary wireless Internet access is available in public areas. This Key West property has event space consisting of banquet facilities and conference/meeting rooms. Great views of Key West - Hemingway stayed here ! Located directly on Duval Street within walking distance of all major attractions, shopping, entertainment, and nightlife. Built in 1926, home to luminaries like Hemingway, Truman, Tennessee Williams (when he wrote "A Streetcar Named Desire"), the Crowne Plaza offers the most spectacular 360 degree view, with nightly Sunset Celebration and all of Key West from the 7th Floor deck and lounge at the top of the hotel. Breakfast, Lunch and Dinner served daily in the Crown Room restaurant. Spectacular swimming pool and pool bar on the second floor level. Fitness Room 4th floor, free weights and cardio equipment. Ideally located in "Old Town" Key West on the waterfront, one block from fabled Duval Street and next to the infamous Mallory Square. Let our Concierge guide you to see the best of Key West and feel free to park your vehicle in our parking garage knowing you won't need it again until your departure. Our spectacular waterfront setting is situated in the west end on beautiful Sunset Pier. 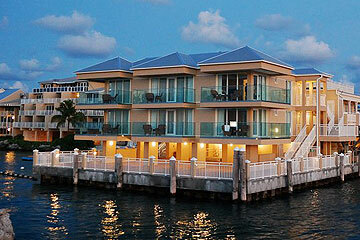 178 deluxe guest rooms and suites, and with the largest on-site marina of any hotel in Key West. For nearly 40 years in Key West, Pier House Resort and Caribbean Spa has been a Key West hotel icon reflecting the free-spirited attitude of Key West. As the first true Key West hotel on the island, we continue to offer our guests the authentic experience that has made Key West a favorite vacation destination for all generations. Facilities include four bars, three restaurants, including the island´s only four diamond dining, a private beach, pool with whirlpool, fitness center and health spa. Just steps away from the hustle and bustle of Duval Street, you are invited to experience the free-spirited atmosphere of this secluded paradise. Experience our 180 oversized guest suites, lagoon style pool, tropical foliage and Keys style restaurant. Our wood frame exterior, complete with Bahamian shaded windows, captures the essence of historic Key West while providing our guests with modern day conveniences. Located across the street from the recently renourished Smathers Beach and a short complimentary shuttle service to bustling Duval Street. The Newest Luxury Boutique Hotel in Key West ! 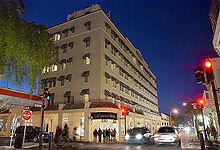 We are near the airport and close to the Key West Cemetery, Ernest Hemingway Home and Museum, and Mallory Square. Recreational amenities include an outdoor pool and a fitness facility. Complimentary wireless and wired high-speed Internet access is available in public areas. The hotel serves a complimentary breakfast. Guest parking is complimentary. Wedding services, concierge services, and tour/ticket assistance are available. This is a smoke-free property. Still host to Key Wests largest private beach, the totally redesigned Reach Resort will usher in a new era of luxury in the Keys. Every inch has been rebuilt, redesigned and refurnished to provide the ultimate experience. Learn more at the official website. Four-postered beds dressed with fine linens and tropical netting recall a Key West of long ago: poets, pirates, writers and rogues. Enjoy the flavor of this island city from a restored gingerbread conch house built at the turn of the century by a sea captain, and nestled conveniently one block off today´s Duval. Choose between suites and standard rooms - Book Online! The Parrot, which was originally built in 1884, has been beautifully restored with the addition of modern comforts. Each of our 10 rooms is unique. We have descriptions and pictures of each and every room on our website. Rates from as little as $70 per night. Off-season specials - 15% off - Internet only ! RV & Camping sites, including some waterfront! The Southernmost campground in the continental United States....and we have a heated pool! Truly a paradise for the young and old at affordable rates. Directly on the city bus line - direct access to downtown. Four full restrooms and shower facilities, gated security, guest laundry & more. RV´ers: Both 30 and 50 amp service available! 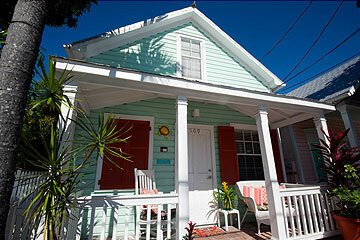 Casa 325 is located on Lower Duval close to the Sunset Celebration and the many bars and restaurants on Duval Street. We offer studios, one or two bedroom suites - the best in tropical accommodations at an affordable price. Many interior photos on our website. Built in 1921 - a Key West landmark - book on-line !! This 4-star resort features the largest private beach on the island, 2 oceanside pools, lighted tennis courts and a prime location. Free airport shuttle. Rates from $75 - $260, pets welcome, pool and spa. Hardwood floors, 14 foot high ceilings...enjoy old days of gracious tropical living. Lose yourself in time... relax in the magical atmosphere of the Victorian Era while enjoying all the comfort of contemporary living. Central location two blocks from Duval Street's Historic Preservation District. Breakfast included. 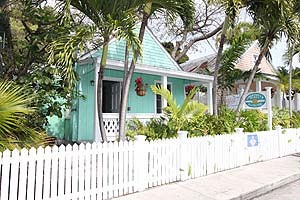 One of the purest examples of Bahamian Conch architecture in Key West, Cypress House is the oldest B&B in Key West. We serve a wonderful complimentary breakfast from 8-11, our rooms are very large (280 sq. ft, 26 sq. meters), and we are located just one block from lower Duval Street. Rooms from just $99 per night ! Close to famous Duval Street - book online! Located within walking distance of shopping, dining and all of the activities offered on the beach. Full service concierge is available to arrange snorkeling, scuba diving or other water sports. Amenities include an outdoor pool, a lounge, an on-site beauty parlor and a restaurant. Each room has air conditioning and color cable TV with remote control. Relax by our pool and tiki bar - Book Online! An island paradise, a familiar name... Welcome to the Fairfield Inn Key West! We are located just two miles from downtown and within minutes of beaches and local attractions. Our heated outdoor pool is waiting for you to enjoy along with daily happy hours at our poolside Tiki Bar. Enjoy a deluxe continental breakfast each morning poolside. Our spacious and attractive guest rooms are equipped with thoughtful amenities including cable television, hairdryer, in-room coffee, iron and board, reach anywhere telephone with dataport and voicemail plus a well-lit work area. Please be advised - the Fairfield is undergoing renovations through the end of 2006. Unique and magical ambience - book online! The Garden House is perfect for those seeking out a relaxing, laid-back home base for their Florida Keys vacation. Amenities include an outdoor pool and sundeck and a complimentary breakfast. Within walking distance of all that Key West has to offer. Concierge service is provided to assist with all of your vacation needs. Located in the center of Old Town - book online! Each room comes with a king-size bed, Jacuzzi bath tubs and furnishings made of mahogany and yew. The hotel has a wrap around porch and an outdoor pool with an adjacent spa, making it the perfect place to relax and unwind. On the weekend, sip cocktails from the poolside bar. 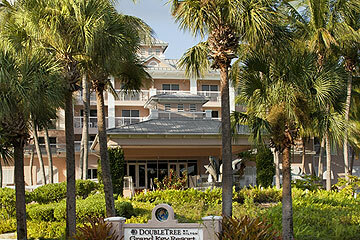 Located within walking distance of the attractions of Key West. Click here to read reviews of The Gardens Hotel. 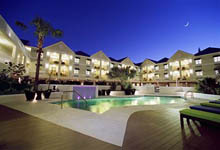 Just opposite the Gulf of Mexico - book online! 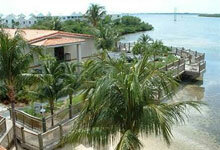 Within two miles of all of Key West's attractions and a mile from popular Smathers Beach. Amenities include one of the largest outdoor pools in Key West, a tiki bar, heated whirlpool, an on-site fitness center and a cafe which serves breakfast and lunch. Historic 37-room Inn - 360 degree presentations! Featuring the historic Maloney estate home, one of Key West´s earliest residences. Along with this fine Grand Bahama style home, we feature quaint cottages and pool cabana rooms, all completely renovated in 1999. All rooms feature private baths, queen or king bed, TV and telephone. Two blocks from Duval Street! Get the most out of your time in Key West. 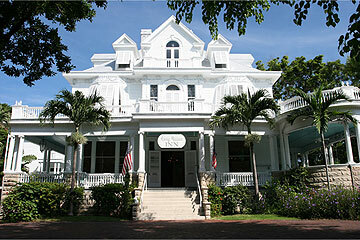 The Key West Information Center is a free reservation service for all Key West accommodations and attractions. For luxurious resorts, or cozy guesthouses, for snorkeling and diving the Keys´ living coral reef, or historic tours of Old Town and the harbor, our island experts at Key West Information Center are here to help you plan your dream island vacation. A grand classic Revival Mansion - book online! Built in 1891, this two story home is secluded and peaceful with a comfortable, relaxed atmosphere. Located steps away from Duval Street and Mallory Square. Amenities include an outdoor pool and sundeck, and a daily complimentary breakfast. Click here to read reviews of La Pensione. This tropical paradise boasts many amenities that will accommodate your business and leisure needs. Special in room amenities are free high speed internet, pay per view movies and in room video games, and individually controlled air conditioning. Relax by our outdoor swimming pool with spa tub and Tiki bar or tour the island on a scooter or moped available from our scooter/moped service. Located in historic Key West, under the shadow of the Key West Lighthouse, Lighthouse Court has comfortable rooms and professional hospitality in an exotic tropical setting. Choose from standard (w/1 full sized bed), superior (slightly larger w/1 queen- or king-sized bed), a suite with a separate bedroom and living area, and the penthouse, known as the Hemingway Retreat. Located directly on the Gulf of Mexico, the Holiday Inn Beachside boasts 222 tropically appointed guest rooms; a newly installed, free-form, zero entry pool with waterfall and Jacuzzi; a private. 300ft. tanning beach; and ample free parking. Our full service, onsite watersport facility offers jet ski rentals, snorkel and dive trips, boat rentals, sunset cruises and more! Our full service restaurant offers island cuisine and is a local's favorite. Nestled between Key West Harbor and Mallory Square, where historic Duval Street begins the old town experience is where you'll find Ocean Key Resort. A dream escape to Key West is found in everything we offer, with large rooms, and views that inspire and energize. 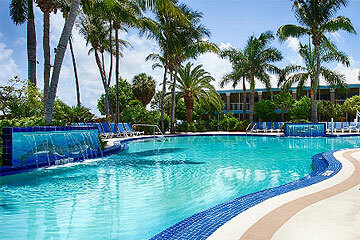 Read reviews of Ocean Key Resort. There is nothing old about The Old Customs House Inn, except for it´s original construction in 1876. The Old Customs House Inn is a beautiful, recently remodeled bed & breakfast type accommodation located directly on Duval Street just a few steps away from Mallory Square and our world famous sunsets. 360 degree panoramic presentations of all our rooms!! Built in the 1880´s, this property was once a cigar factory. The cottages were home to the factory workers. An adults-only resort offering rooms, cottages and a mansion house. Just one block from Duval Street in the heart of Old Town. Situated on two lushly landscaped acres. You can?t get any closer to Duval Street than this. 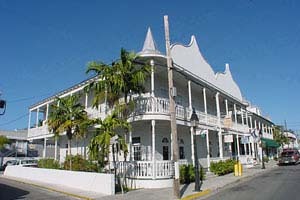 The SOUTHERN CROSS HOTEL was the first hotel built in Key West. It was originally built in 1898. The motel was fully remodeled in early 2000. We have single rooms and large rooms. We are located directly on Duval Street just a few steps away from Mallory Square, Sloppy Joe´s, and Jimmy Buffet´s Margaritaville Cafe. 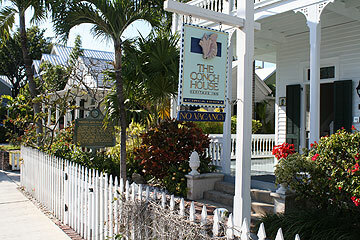 Our guesthouse located directly on upper Duval Street in Old Town Key West, surrounded by quaint shops, galleries and restaurants. Guests who require special consideration will find "accessible" units available. Suites feature hand-crafted queen beds and tables made from original 1876 pine. Wooden floors! Hospitality, Value, cleanliness - these are the hallmarks of Westwinds. The Historic Seaport?... it's 2 blocks away. Duval Street?... about 5 minutes by slow amble. The historic district?... you're here already!